Business leaders who enable learning whether through regular training needs assessments or externally sourced scientific advice to support product development efforts contribute to organizational effectiveness. While the drivers of learning capacity and their effects on the business are well documented in large firms, little is known about this issue in Asian small and medium-sized enterprises (SMEs). Therefore, this paper is aimed at exploring some of the antecedents of organizational learning capability of small-scale ethnic Chinese business organizations with particular reference to knowledge-intensive SMEs in Singapore. 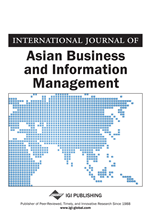 By utilizing Asian family business and organizational behavior concepts with regard to knowledge, leadership, absorptive capacity, fair process and knowledge transfer as well as qualitative data obtained through a case study of a small-scale ethnic Chinese SME which provides IT-enabled trading solutions for financial institutions, several hypothesized relationships between knowledge leadership, firm attributes, organizational learning and firm performance are developed into an organizational learning capability model to be tested in the context of a future empirical SME study. The model's implications are discussed with special reference to CEOs of SMEs and SME promotion agencies interested in facilitating the development of a culture of learning and innovation in small business organizations in an era of rapid globalization. Small and medium-sized enterprises (SMEs) are of critical importance for a country’s economic growth, industrial development, and employment generation (Lee & Li, 2008; Rauch et al., 2005; Howard, 1991). In Singapore, for example, local SMEs comprise more than 92% of the total establishments, employing 51% of the workforce and generating 40% of total value added. Yet while SMEs are often strong competitors, they do encounter all kinds of challenges that need to be addressed. Only 30% of local family companies are handed down successfully into the hands of the second generation, and only 15% are successfully handed down to the third generation. Creating value through learning remains a daunting task for many SME owner-managers (Menkhoff, 2010). Other issues include their limited market exposure, insufficient responsiveness to change in the environment, technological backwardness, ineffective use of IT, lack of change management competencies etc. (Tsui-Auch, 2003). Some analysts have argued that SMEs will ‘go bust’ if they don’t leverage on knowledge and external learning sources given the rise of the knowledge-based economy. Operating in an era of rapid industrial and technological change, the need for SME owners to learn strategically and to respond swiftly to external changes is crucial for sustaining success and survival (Collins et al., 2009; Begley et al., 2005; Tsui-Auch, 2003; Dutrenit, 2000; Crosson, 1999). An important external change driver is the rapidly evolving knowledge-based economy with its emphasis on ideas, research & development, know why, technology and intellectual assets. Knowledge is increasingly replacing traditional factors of production such as land, capital and labor (Drucker, 1994; Von Krogh, Ichijo, & Nonaka, 2000; Von Krogh, Nonaka, & Nishiguchi, 2000; Menkhoff et al., 2011). The Republic of Singapore (located at the tip of the Malaysian Peninsula) represents an interesting case study in this respect given its effective strategic approach towards nation-wide learning which has been instrumental in transforming the small city-state into an increasingly knowledge-driven economy (Hornidge, 2007). While the few available studies indicate the effects of state-driven institutional isomorphism on strategic learning and technology upgrading by local SMEs in Singapore (Tsui-Auch, 2003), e.g. in the context of the so-called Get-Up Scheme/Growing Enterprises with Technology Upgrade launched by Singapore’s Productivity and Standards Board (SPRING), doubts remain with regard to the sustainability and breadth of such measures due to the institutional characteristics of Asian small family-based firms such as low trust in outsiders or ignorance towards formal SME promotion agencies (Menkhoff, 1993; Ng, 2002; Menkhoff et al., 2004). While the number of SMEs participating in official SME promotion schemes has steadily increased over time, there are still a large number of SME owner-managers who are unaware and/or ignorant about the schemes’ benefits and how organizational learning can help them to create value and become more innovative. What characterizes those small entrepreneurs who take up the strategic learning challenge and those who do not? Before we deal with this issue, let us elaborate more on knowledge management and learning which are key themes in this paper.